Trippin’ Blues 2018: Where & when? Frankie’s is the small and cozy home of The Blues Joint. Here we teach our monthly classes and organize our social dance parties. 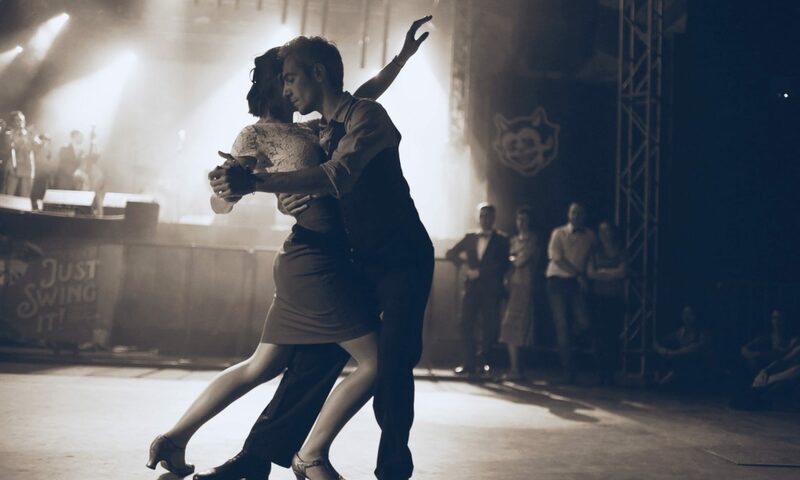 De venue is named after the most famous Lindy Hop dancer of al times, Frankie Manning. Without Frankie there wouldn’t have been a Swing dance revival in the eighties and we wouldn’t be dancing Blues today. Thank you, Frankie Manning! 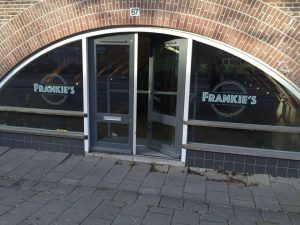 In Frankie’s we start the festival with the Thursday night pre-party. 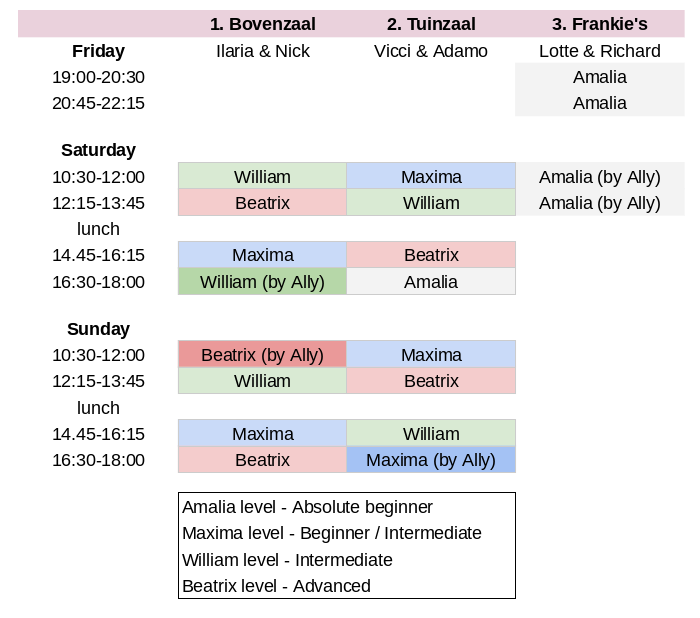 It also houses the beginner crash course (Amalia level) on Friday evening and Saturday morning. Address: Frankie’s, Tussen de Bogen 67, Amsterdam. In the first main party at Trippin’ Blues we have a very well placed venue. In the middle or the touristic center we start the party in Akhnaton. For years Akhnaton has been offering a platform for creative and artistic talent, because they like to contribute to social, political and especially cultural developments in Amsterdam. Their character is unruly and brutal from origin. Akhnaton is a place where different cultures come together and where freedom and openness are encouraged. They think it is important that every person feels at ease and hope to promote the exchange of creative and artistic ideas. Healthy food, drinks, events, readings, activities, workshops, meetings & attention for your body & mind. 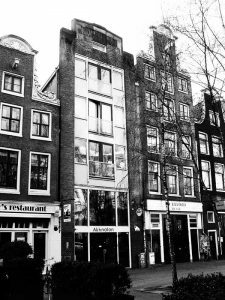 The place in Amsterdam-East where everyone who wishes to be inspired & be healthy can be! 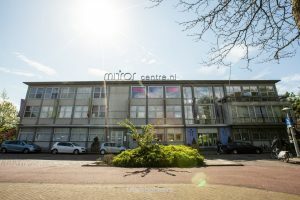 The workshops on Saturday and Sunday will be in the Mirror Centre. Two big studio’s will be shared with all levels. It is suited next to Amsterdam Muiderpoort trainstation. Sociëteit SEXYLAND is a conceptual club on the NDSM in Amsterdam North. For 365 days it has a different owner, every day. The owner of the day decides what kind of club they want it to be, which can vary from art exhibitions to sporting events, from gangster rap nights to dinners in stroboscopic light. On Saturday June 22, we are owner of Sexyland!! This Saturday night venue is a little away from all other venues, on the north side of the IJ. But the ferries cross the IJ day and night for free from central station for bike riders and pedestrians. Sexyland is located right next to the Ferry stand. 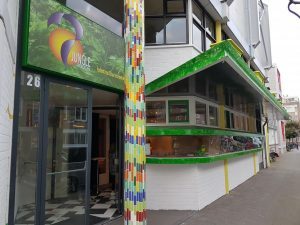 Jungle is the center for cultural and social participation in Amsterdam. The Jungle is a symbol of the most beautiful type of nature we have on this earth. It is the final piece if pure nature, partly untouched, fully the lungs of the world, but also endangered by human actions.